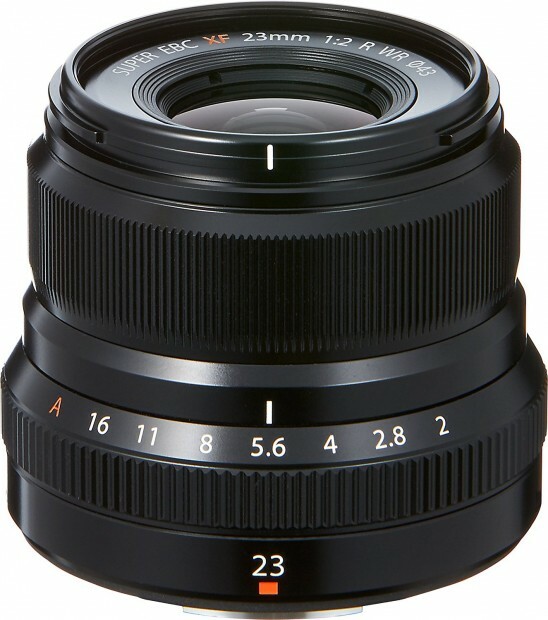 Hot Deal: FUJIFILM XF 23mm F2 R WR Lens for $389.99 at Amazon! Hot Deal: Olympus E-M1 Mark II for $1,599! Super Hot!!! 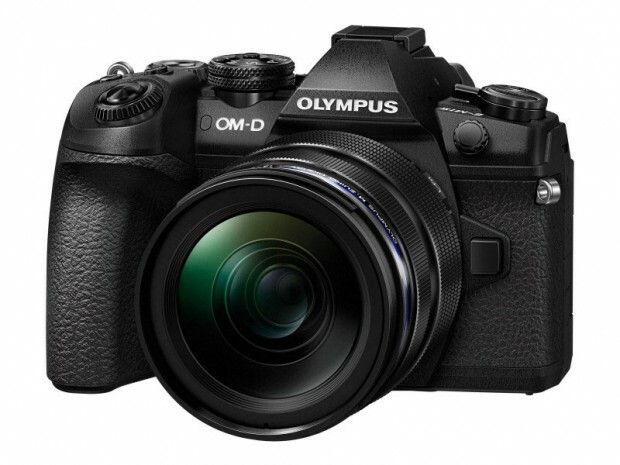 The price of the Olympus E-M1 Mark II has just dropped a lot. It is now for only $1,599 at Amazon/ B&H/ Adorama. This is the lowest price we have ever seen. 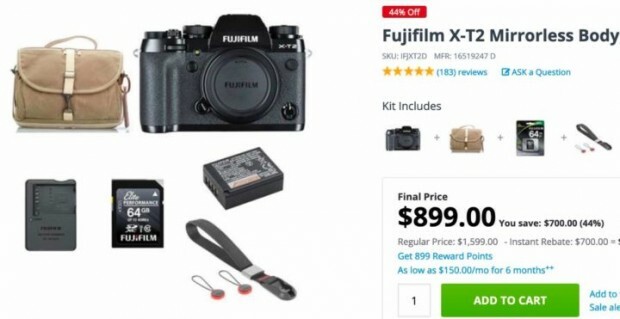 Hot Deal: Fujifilm X-T2 Bundle Kit for $899! Super Hot!!! The price of the Fujifilm X-T2 has just dropped a lot! You can save up to $700 on these great deals. Super Hot!!! 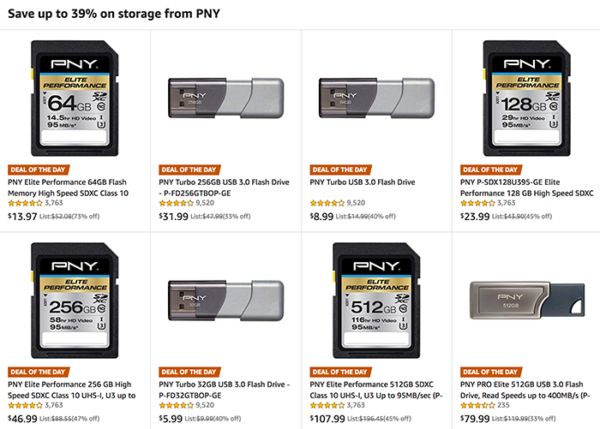 Today, Amazon has some great deals on PNY cards and storage. You can save up to 69%! 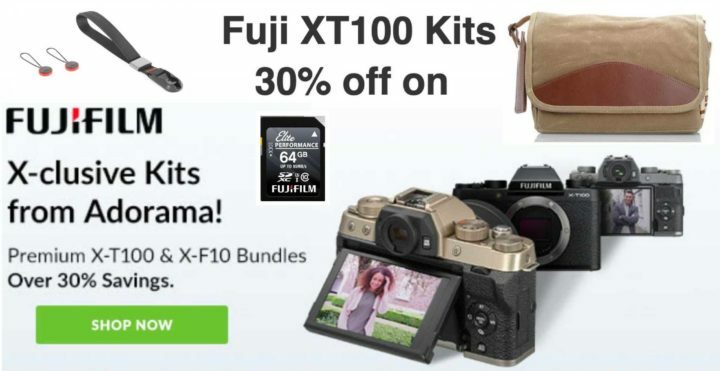 Hot Deals: 30% Off on Fujifilm X-T100 and XF10 Bundles at Adorama! Super Hot Deals! Adorama has just launched 30%+ bundle deal savings on Fujifilm X-T100 (Amazon/ B&H/ Adorama) and Fujifilm XF10 bundle deals. 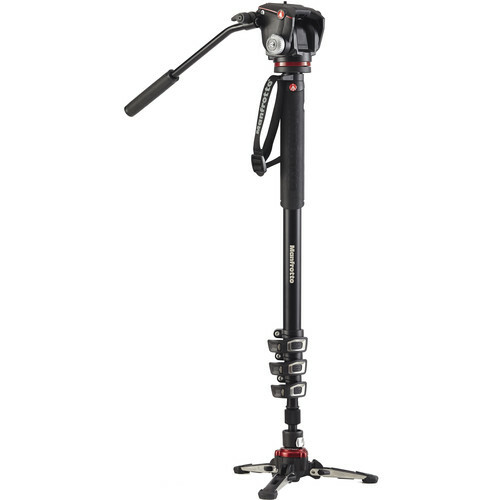 Today, B&H has a great deal on Manfrotto MVMXPROA42WUS Aluminum XPRO Video Monopod for only $139.88 after $50 mail in rebate. Super Hot Deals!!! 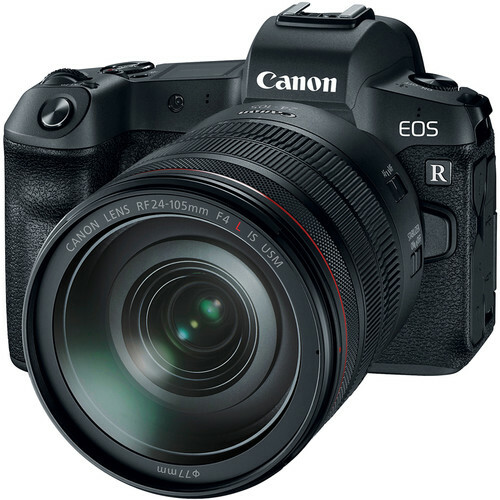 EinfinityShop4 (99.7% Positive Feedback) has two great deals on Canon EOS R. The body costs only $1,815 and w/24-105mm f/4L IS USM Lens kit for $2,599. It is brand new item with 1 Year Seller Warranty. 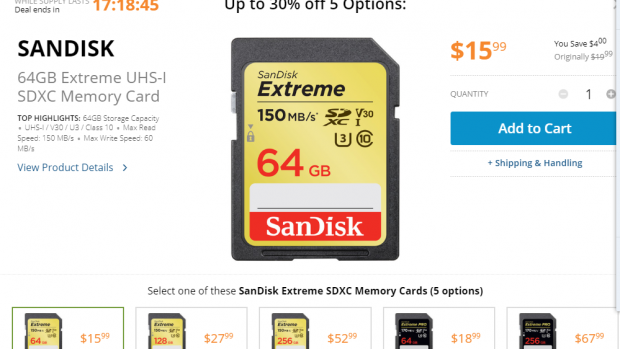 Super Hot Deals: Up to 30% Off on SanDisk Extreme Memory Cards at B&H! Super Hot Deals!!! Today, B&H has several great deal on Sandisk Extreme SDXC memory cards. You can save up to 30% Off! Just for today only! Super Hot Deal!!! 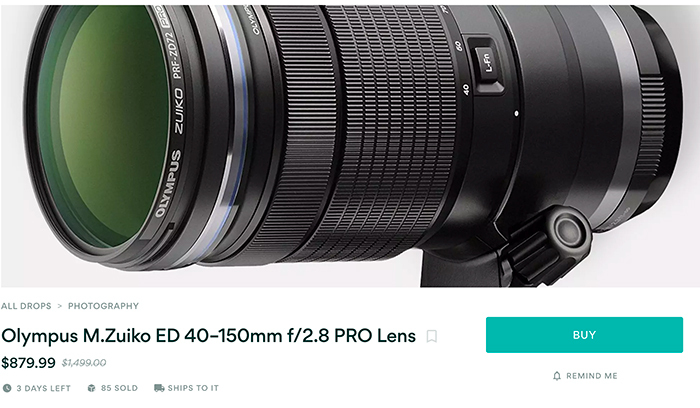 MassDrop has a great deal on the Olympus M.ZUIKO DIGITAL ED 40-150mm f2.8 PRO Lens for only $879.99! Hot Deal: Fujifilm XF 100-400mm F4.5-5.6 R LM OIS WR Lens for $1,399!